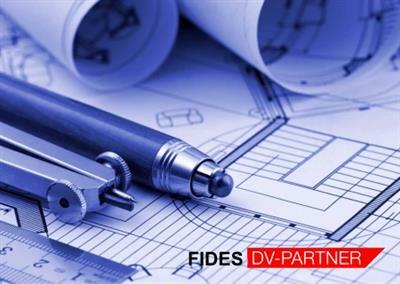 FIDES DV-Partner, a two German system vendors for civil engineering, structural designers, constructing engineers and architects applying high quality software, presents a new release of FIDES software, it's covers the entire field of civil engineering software. The range of solutions we offer for structural design contains building, steel, tunnel and bridge design, geotechnical or rather soil engineering up to special constructions like light weight structures. Settled on AutoCAD as world's leading CAD-standard we are also able to provide intelligent and up to date software products in the fields of architecture, building services and construction engineering. FIDES DV-Partner is based in Berlin and Munich. With experience resulting from nearly 40 years providing services for civil engineering we comprehend the mission of FIDES today as a partner for structural designers, constructing engineerss and architects applying high quality software. Our wide variety of Products and Services covers the entire field of civil engineering software, distributing solutions developed by our own team and well-known vendors like SOFiSTiK and Autodesk and consulting for structural design projects. An additional field of activity is software development with main focus on soil engineering and geotechnics as well as structural steel design, also in the context of research projects.